Often, as people read the Bible, they come under the conviction that God wants them to change their ways. Or perhaps He wants to encourage them with the example of one of His fearful but obedient children. Or warn them of impending disaster if they persist in behavior He does not condone. Why do Bible people affect them this way? Because they are not legendary giants or superheroes; they are ordinary people. What would you do if you were a young girl suddenly confronted by an angel with the most incredible mission imaginable, or a great king who had succumbed to temptation and now still had to go on? 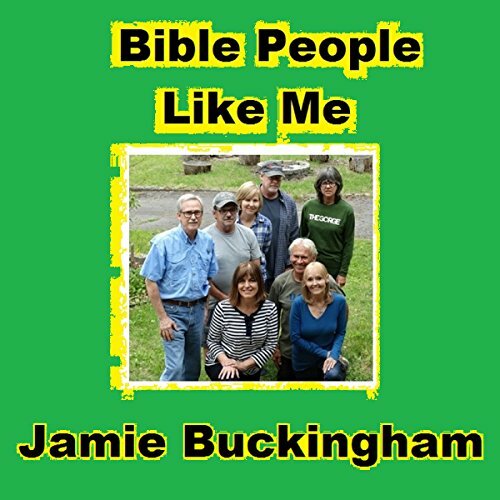 Jamie Buckingham explores the lives of 10 of the best-known people in the Bible and finds out just how much they are like you and me. With a rare ability to bring characters to life, the author takes a fresh look at Deborah and Mary, David and Abraham, Elijah, John the Baptist, Gideon, Joshua, John Mark and Simon Peter at crisis points in their lives. And he discovers four common themes: (1) All God wants is someone who will obey; (2) God is not impressed by the things that impress us; (3) God has His own reasons for whom He chooses; and (4) God chooses people with the same problems and temptations, the same hurts and loves, as we have. ©1988, 2014 Risky Living Ministries, Inc. (P)2017 Risky Living Ministries, Inc.